Senator Kelly Ayotte Will Support the Bipartisan Immigration Bill: Will She Be the Game-Changer the Legislation Needs in the Senate? 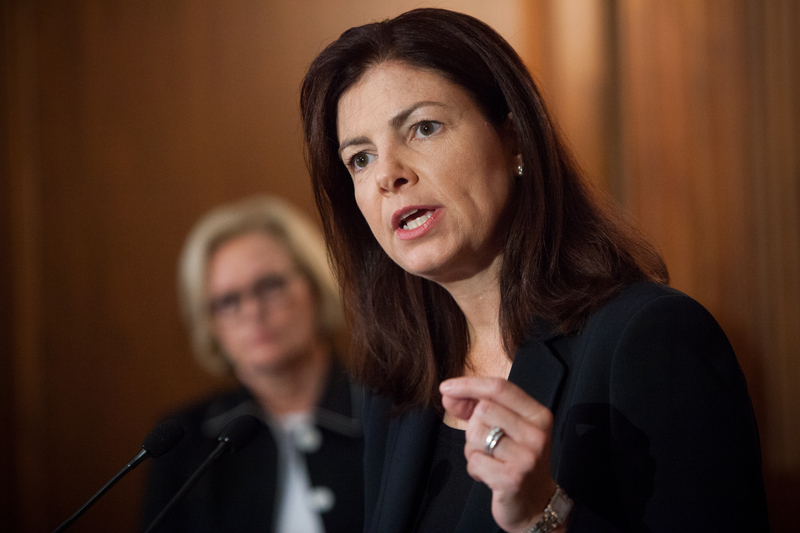 Republican Senator Kelly Ayotte of New Hampshire said yesterday that she will support the bipartisan immigration bill intoduced by the “Gang of Eight” Senators. The bill aims to completely overhaul current U.S. immigration policy by including a path to citizenship for undocumented immigrants, enhancing border security, and providing new visa programs for workers. Ayotte’s support has the potential to be a game-changer for the legislation. Right now, the bill is expected to garner strong support from the Senate’s 54 Democrats, but needs votes from its 45 Republican senators to achieve the 60-vote minimum needed for passage. Since Ayotte is one of the first Republicans to voice support for it who isn't one of its authors, her backing could potentially help generate additional Republican votes. Republicans know that failed immigration reform could mean that minority voting blocs permanently align with Democrats in future elections. Even if the bill does pass in Senate, it faces its biggest challenge in the Republican-led House of Representatives, primarily because Republican representatives don’t view its border provisions as being tough enough. Stay tuned—Senate Democrats want a final vote on the bill by July 4.